Kids aren’t the only ones who dress up and have fun on Halloween. 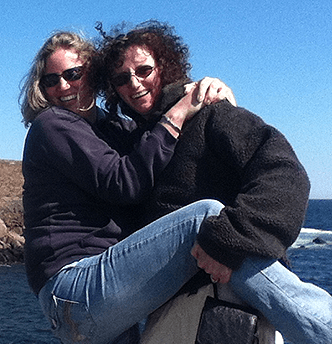 It’s a fun holiday for adults, too – and costumes are just the beginning. Dressing up and going to a Halloween party with your adult friends while the kids are out collecting candy is a great way to relax and channel your inner child. 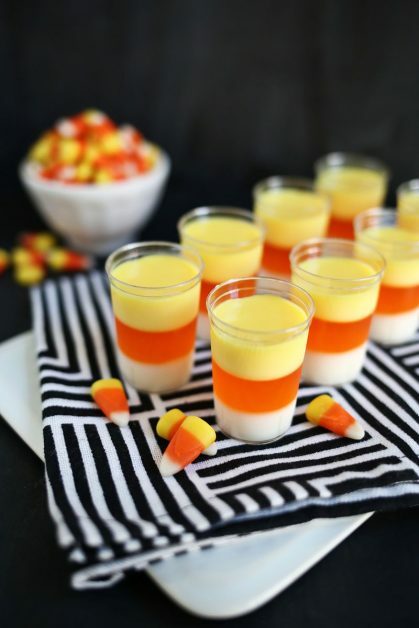 The right Halloween snacks and drinks make every Halloween party even more fun. It’s better than trick-or-treating for candy and gives you a chance to feel like a kid again. This Halloween party snack comes complete with its own costume! 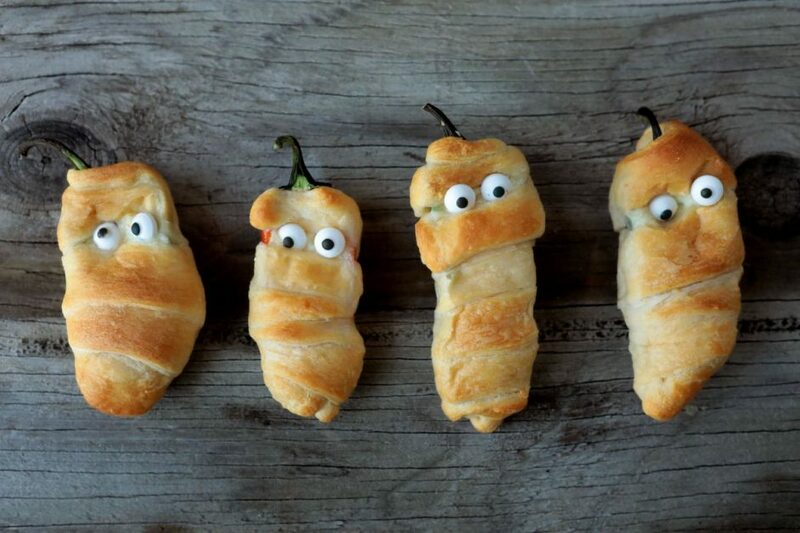 Dress your Halloween jalapeno poppers up in pastry bandages for a perfectly mummified Halloween treat all your party guests will love. Don’t forget the candy eyes to complete the look! Be sure you take a picture before your guests devour them so you can share your successful party snack with everyone on social media. Chocolate dipped strawberries are always a party favorite. 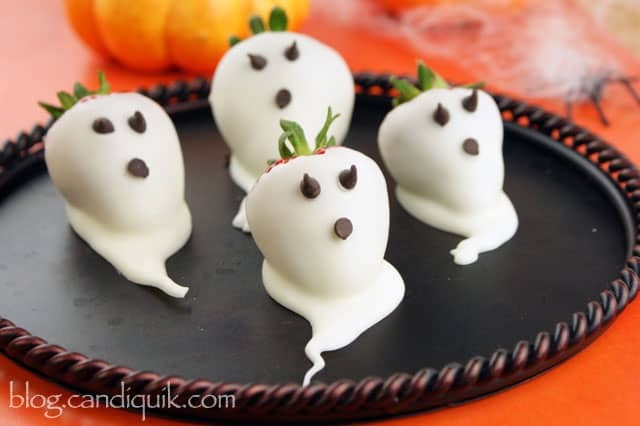 Switch it up by using white chocolate to create strawberry ghosts! Give each one a different face for a unique personality. They’re a Halloween party treat that’s sure to bring out the kid in all your guests. And They’re super tasty too! Don’t forget to take pictures of your adventures making strawberry ghosties so you can show off your hard work. Eek! Bloody fingers! It’s ok. Don’t worry! 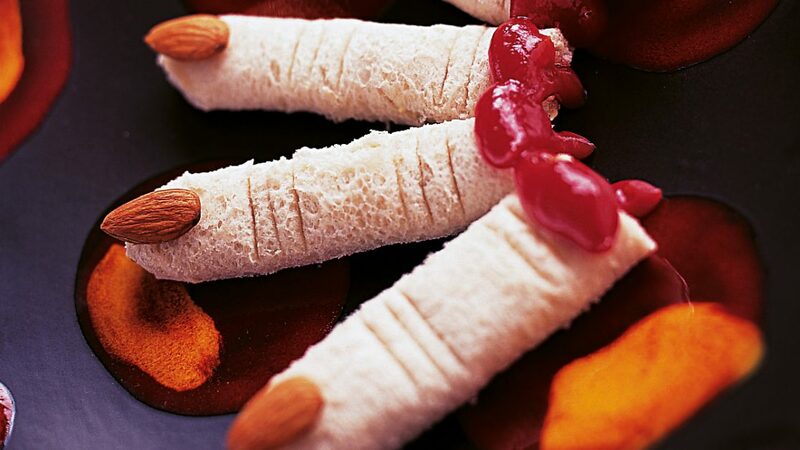 No fingers were lost while creating this fabulous Halloween snack. But if you get the lighting just right, your guests might think you’re offering them a plateful of fingers until they take a second glance at these finger sandwiches. It’s amazing how well strawberry jam emulates coagulated blood. Peanut butter or cream cheese make the perfect filling and almonds truly emulate gnarled fingernails. Wispy smoke and fog are the hallmarks of Halloween décor. 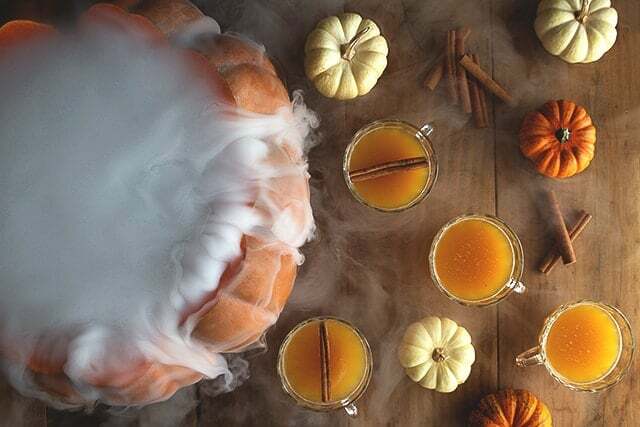 Use dry ice to make a fog and smoke curl around a pumpkin punch bowl and give your party and eerie quality. The pumpkin punch is potent enough for any adult party and captures all the best fall flavors. How much eerie smoke you get and how long it lasts will depend on how much dry ice you use. Keep some on hand to add throughout the party and keep the eerie effect going all night long. Looking for a really simple but proven party snack? 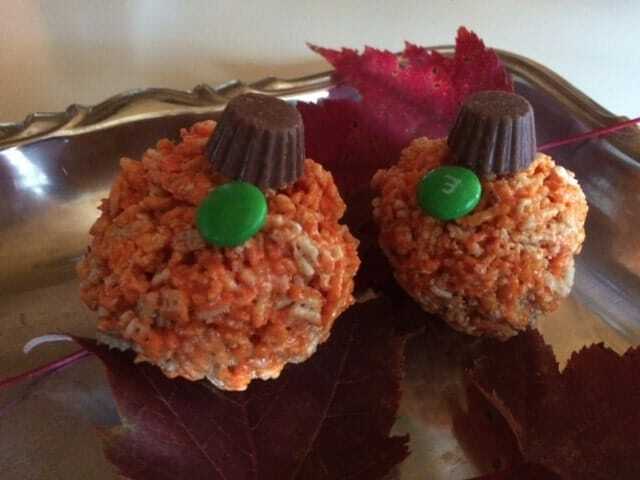 These rice krispie pumpkins are sure to be a hit with any crowd! They are fun to make with the kids and use basic ingredients! Hosting the perfect Halloween party means having the best Halloween snacks and drinks to serve your guests. 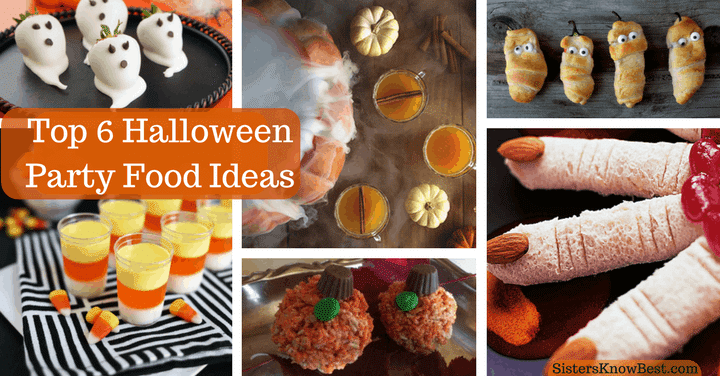 We’ve compiled Halloween treats that combine creepy and cute into treats that are perfect for adult tastes and create Facebook post-worthy goodies you can offer all your guests. Don’t forget your costume for the perfect Halloween party.